Winning the Edmunds Five Star Dealer Award is quite the prestigious award, and Off Lease Only is very proud to have won this award for the third consecutive year. Every day, the entire Off Lease Only team works tirelessly towards earning the most positive review possible from every customer, whether they buy a car from Off Lease Only or not. It doesn’t matter; Off Lease Only wants every potential customer to have an enjoyable experience. 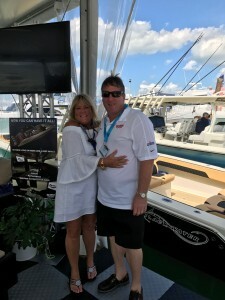 Eileen & Mark Fischer are completely dedicated to making every customer happy before, during and after the sale. What matters most to owners Mark & Eileen Fischer is exceptional customer service before, during and after the sale. Period. The attention to customer care is something that has always been the main focus of the company, and it is the main reason why this used car dealership has grown to the largest independent used car dealer in the nation. No hidden fees and no stress of negotiating prices are just a couple of the reasons why Off Lease Only customers feel so comfortable returning to purchase their next used car from Off Lease Only. If a customer has a problem, Off Lease Only owners are the very first to respond. “If a customer has an issue, we are here to help them fix it fast!” said owner Mark Fischer passionately. The Fischer’s understand the importance of being proactive and addressing any issues that a customer may have. That is why he has an entire team dedicated to customer service. 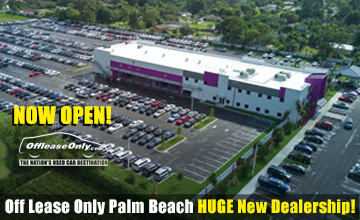 Off Lease Only’s Team cares about every customer’s happiness before, during and after the sale! “I want my customers knowing that we WANT to help them. That’s why my team is expected to respond as quickly as possible when any questions, concerns or problems arise,” said Fischer. And that’s what Fischer’s team does. They jump on issues IMMEDIATELY to show customers how much Off Lease Only cares about their happiness and satisfaction. 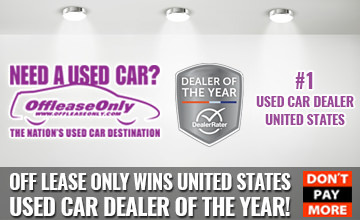 “Winning the Edmunds Five Star Dealer Award in all locations for the third year consecutively is beyond cool. We don’t do it for the awards, but being recognized for incredible customer service shows that my team is ON IT!” said Fischer. 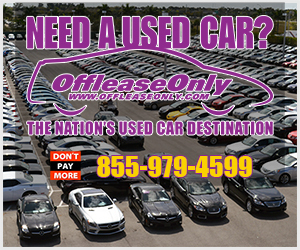 Off Lease Only’s customer service excels over every other used car dealer in the Country! 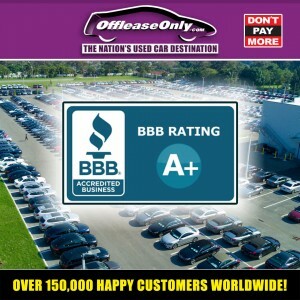 Off Lease Only is proudly an A+ Rated business on the BBB, DealerRater’s Used Car Dealer of the Year for the entire United States and of course an Edmunds Five Star Dealer for the third year in a row. Join nearly 200,000 happy customers that continue to spread the word that Off Lease Only is the ONLY place to save thousands on your next used car. With thousands of used cars for sale priced thousands below retail, and excellent customer service, you are sure to have a wonderful experience too! 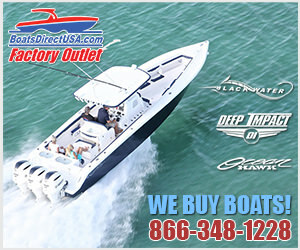 For the location nearest you simply click the banner below to get quick and easy directions. 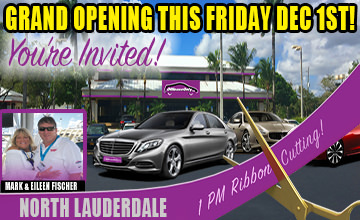 ← Previous Story Donate for Your Chance to Win an OffLeaseOnly $20k Car Voucher! Next Story → Donate NOW to Win an Off Lease Only $20,000 Car Voucher! 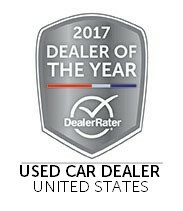 Off Lease Only Wins 2017 DealerRater Used Car Dealer of The Year!